JVC Combine Old And New And Kaboom! 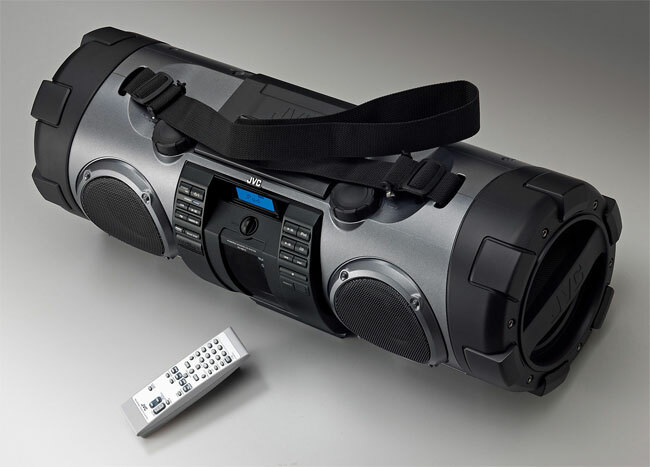 The JVC Kaboom the iOS speaker dock is now back and the now features 40 watts of power but still keeps the retro look of earlier boomboxes and is even fitted with an integrated CD player, for a really retro feel, although it can handle MP3 and WMA file playback. The RV-NB70 Kaboom retro speaker dock has been designed to support both Apple’ s iPhone and iPod and features a twist lock door to make sure your iOS device stays in place as you carry the Kaboom around. But do bear in mind this boombox weighs in at 15lb and has to be powered by mains. 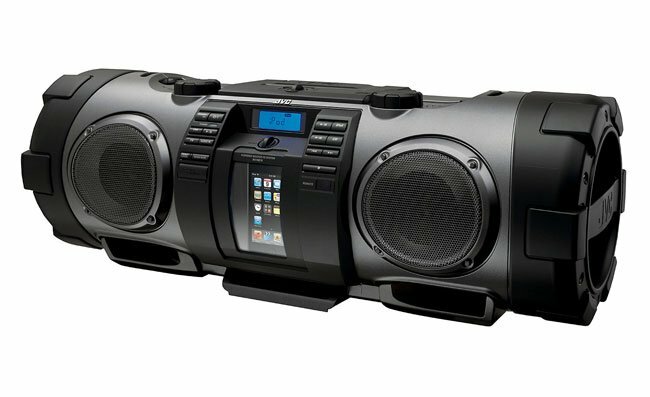 The JVC RV-NB70 Kaboom is equipped with 3-3/16″ (8cm) Full-Range Speakers and 5-1/8″ (13cm) Super Woofer and has a USB Host port allowing you to play back audio from external devices. Together with an FM radio and guitar, microphone inputs.